It’s coming: the future of the kitchen is coming. We may not have jetpacks and flying cars yet, but the connected kitchen is right on the horizon. Kitchen appliance manufacturers still see a future where the refrigerator talks to the microwave and tells people what to eat for dinner, but for the meantime, a more realistic goal seems to be popping up. Small internet-friendly devices are going to be key to the kitchens of the future. Companies have been producing small ‘cookbook readers’ for some time, but so far it doesn’t seem to have taken hold in the public’s imagination quite yet. After all, with laptops and netbooks being so small and portable (along with Bing now offering recipe searches), a new recipe or an old favorite is only a click away. 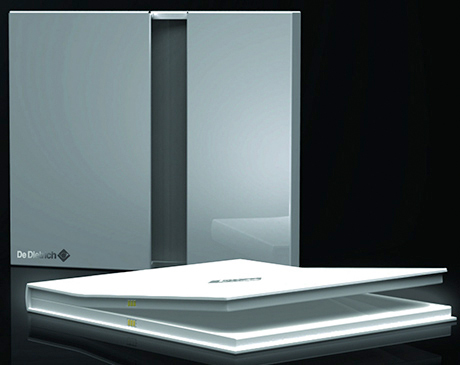 The new De Dietrich interactive kitchen guide isn’t available yet, but the book-like device offers plenty of potential. Featuring a recipe database and the capability to include step-by-step directions, the kitchen recipe reader (k-reader?) can provide the necessary ingredients to inspire home cooks, or even just give them a gadget to socialize while they cook. 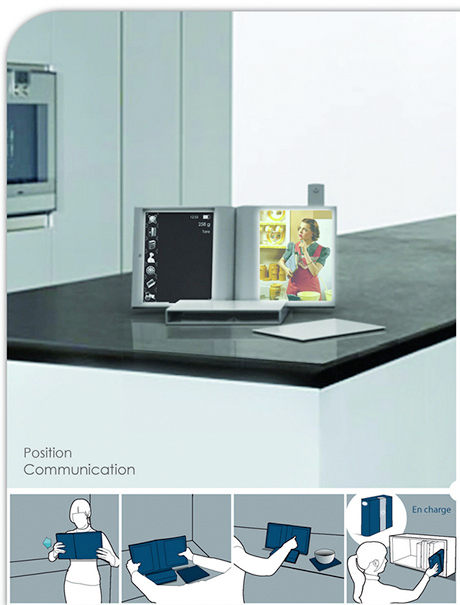 An integrated web-cam opens up the possibility for cook-along sessions over the internet. While I doubt culinary schools have anything to worry about quite yet, the concept is sound: you learn to cook by watching and doing. (And of course, tasting.) Mixed with social networking where sharing, learning and trying new recipes could be all available in one place, it becomes apparent that in the near-future our kitchens may not look a whole lot different, but they will have a whole world of possibilities within.